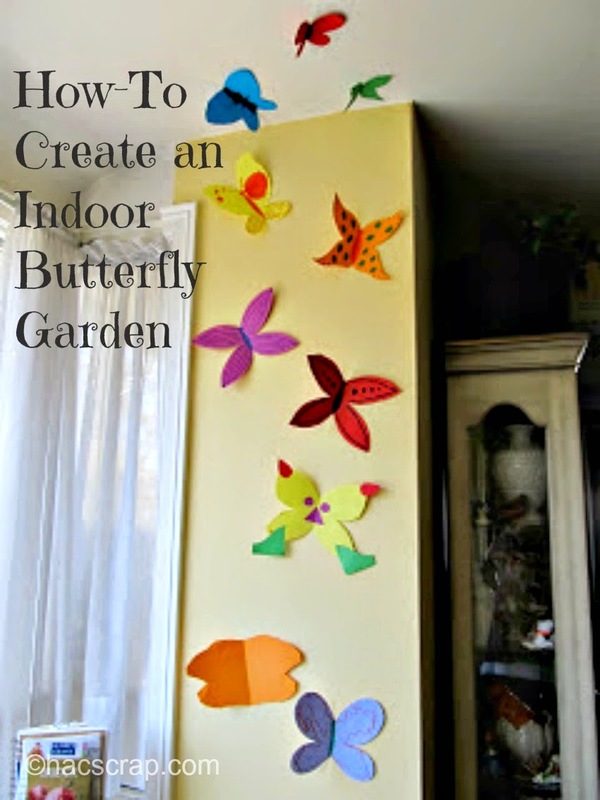 Butterflies are a wonderful sign of warmer weather and sometimes you feel crafty and need a breath of spring time. 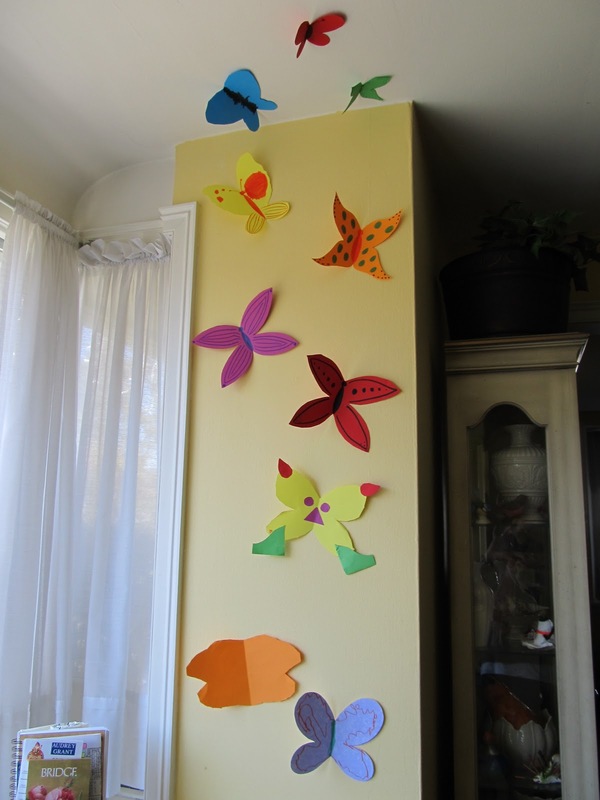 I pulled out some construction paper and markers and had the boys help me make some paper butterflies to hang up in our picture window, creating an Indoor Butterfly Garden. Take a piece of 8 1.2 x 11 construction paper and fold it in half. Quite unlike me - i left the kids to do their own thing. . .i didn't try to "help" or take over or make them "perfect". . . when we all finished, we had quite a colorful collection of butterflies. It turned out beautifully and makes me smile every time I look at them. 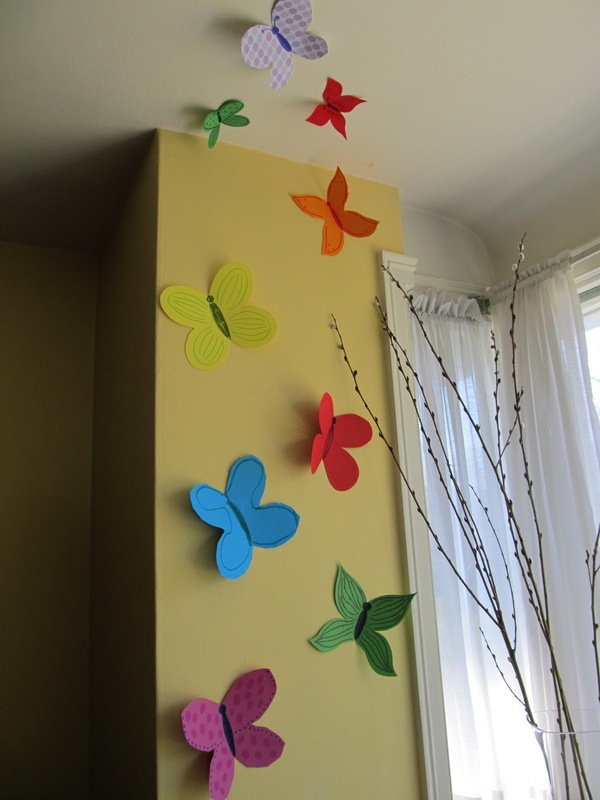 What's your latest crafty project?